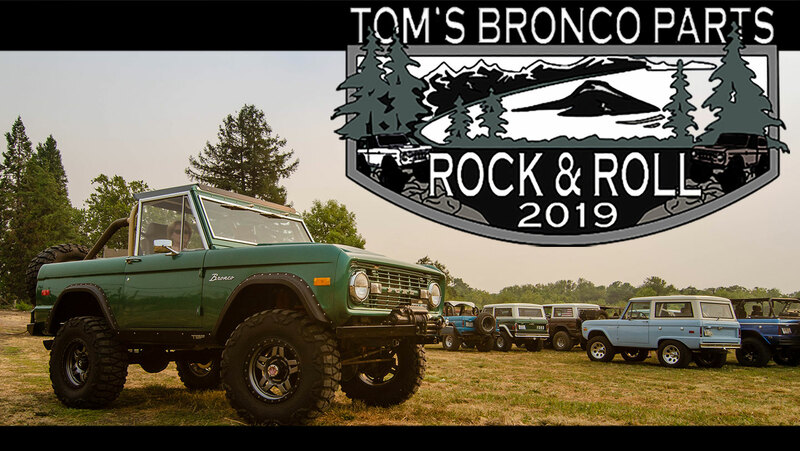 Join us for our 2019 TBP Rock & Roll at our warehouse in Medford, Oregon. Pre-registration fee includes a limited edition event t-shirt and dash magnet. Follow a couple members of the TBP Crew on a beautiful scenic drive from our shop to Crater Lake and back. Meet at the TBP Shop 7:30 AM. Should be a 8 hour round trip. Check out the park here! Members of the TBP Crew, with the help of great customers, will lead a trail run trough the McGrew trail out of O'brien OR. Meet @ field behind O'brien Country Store 7:30 AM. Should be 8-10 hour round trip. 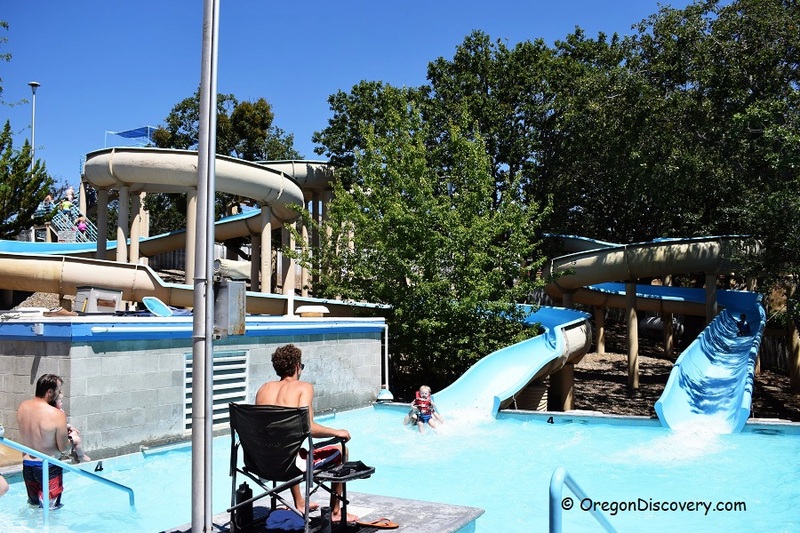 Emigrant Lake Water Slide Meet & Greet - Friday, July 19th - Meet @ 7:00 PM. Closes 10:00 PM. 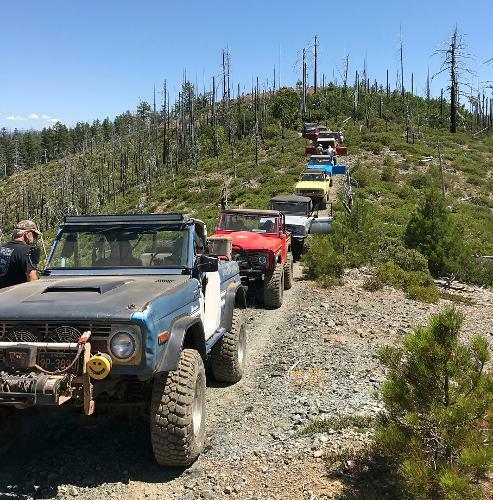 Another great opurtunity to meet other Bronco enthusiasts and stay cool in the hot Southern Oregon Summers! Bring your kids and let them run wild! Check out Water Slides here! Our TBP Show & Shine event will be held Saturday morning. Your registration fee includes a Bronco entry into the Show & Shine. The show will be judged by attendees and there will be multiple awards presented at the conclusion. This show is for ALL 66-77 Ford Broncos. 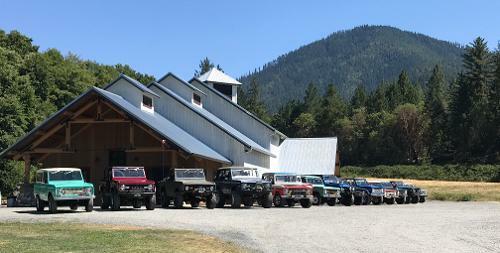 We want your Bronco there whether it's a trailer queen, rock crawler, daily driver or a farm truck. Following the Show & Shine, we will be holding a parts raffle to benefit our local ACCESS food bank. This raffle will feature a load of our most popular Bronco parts and accessories to be given away. Raffle tickets will be available at the Show & Shine (1 ticket for $1 or 1 tickets per can of food). Last year, we gave away over $7,000 in Bronco parts and gear and we hope to meet or surpass that again this year! Our winery cruise was a great hit last year, so we decided to bring it back again this year. This time, we will bring our tour up through Ashland, Talent & Phoenix areas to hit all new wineries. We will again split into small groups and have multiple tour options available. The tour will hit 2-3 locations each and will end at a local vineyard or event space for our evening dinner & concert. To finish off this incredible weekend, we will be holding a catered dinner followed by a live concert. 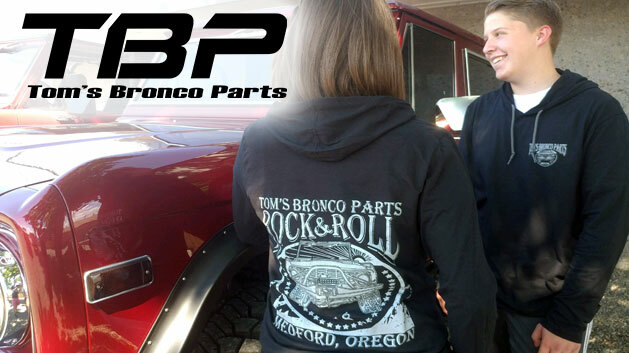 Our store will be open on Friday and during the Show & Shine on Saturday for Bronco parts and accessories purchases. If you would like multiple shirts, please purchase multiple pre-registrations at checkout. When you check out, select Local Pickup for your shipping option if you will be attending the show. If you cannot attend the show but want the shirt & magnet shipped to you please select your desired shipping method. Please note that shirts & magnets will not ship until sometime in July just prior to the show.